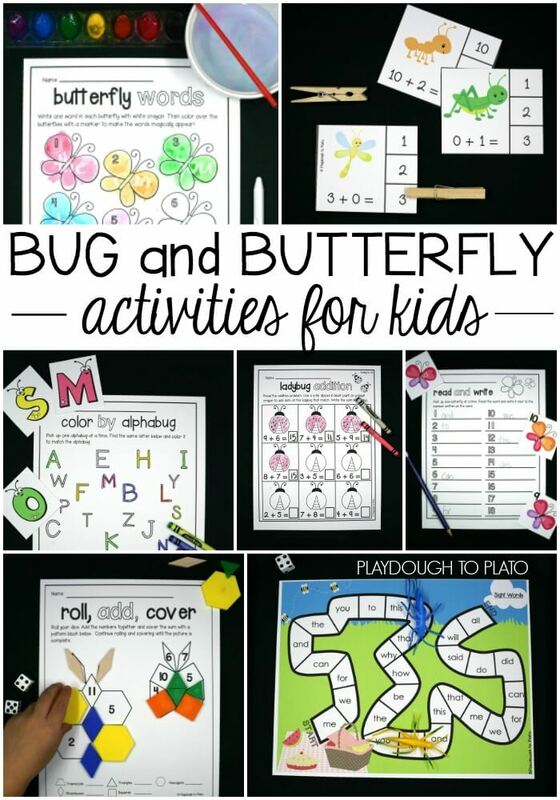 The Very Hungry Caterpillar is a super popular and beloved book by many. 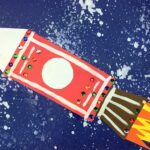 After cuddling up to read the story together, my kids and I were eager to work on a Very Hungry Caterpillar craft so we pulled out our stash of clean toilet paper rolls and got to work making bright and colorful caterpillars. 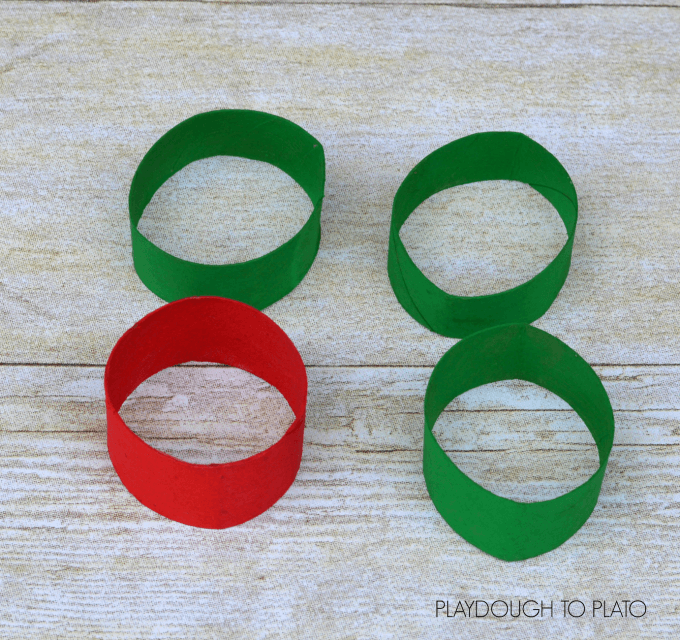 To make the very hungry caterpillar, I cut the toilet paper roll into four separate rings with one slightly larger than the others to make the head of the caterpillar. 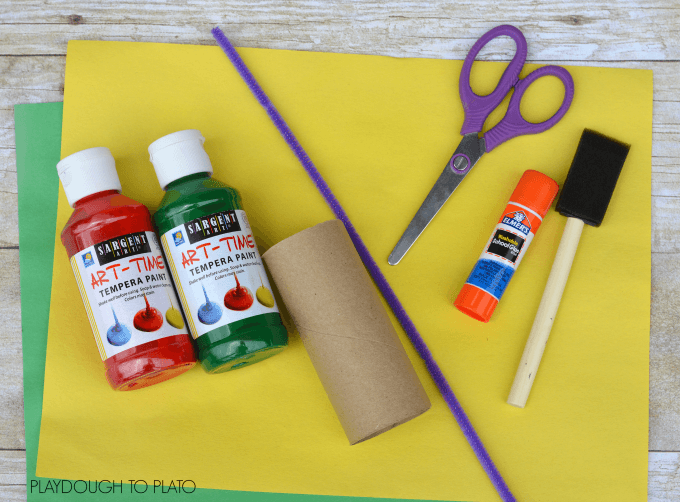 The kids used sponge paint brushes to turn three rings green for the body of the very hungry caterpillar and one ring red for the head of the caterpillar. 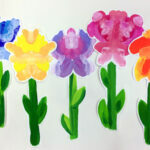 The kids got a lot of paint on their hands, but the washable paint came right off with water and soap. Once the paint dried, we glued the rings together to form the hungry caterpillar – making sure to place the red ring in front for the head. 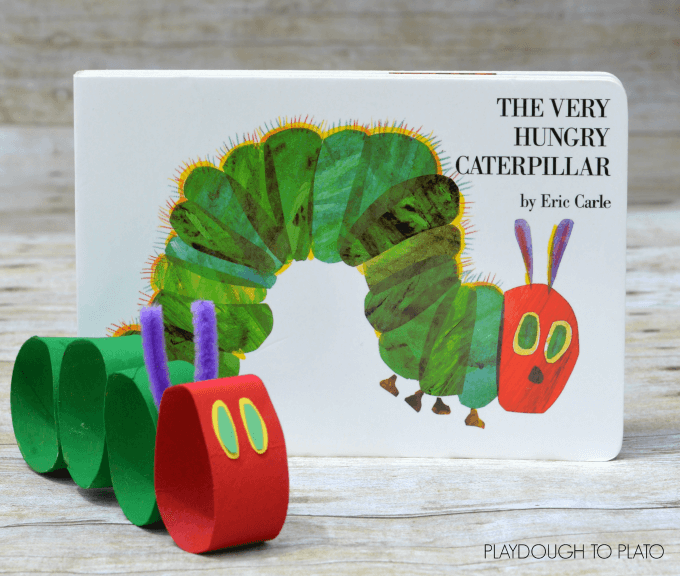 To make the eyes for our hungry caterpillar, we cut two small ovals from yellow paper and two smaller ovals from green paper. We glued the green ovals to the yellow ovals to form the eyes and then glued the eyes to the head of the caterpillar. We cut a purple pipe cleaner in half and folded it to form the caterpillar’s antennae. We glued it between the red ring and the first green ring of the caterpillar’s body. Continue the fun! 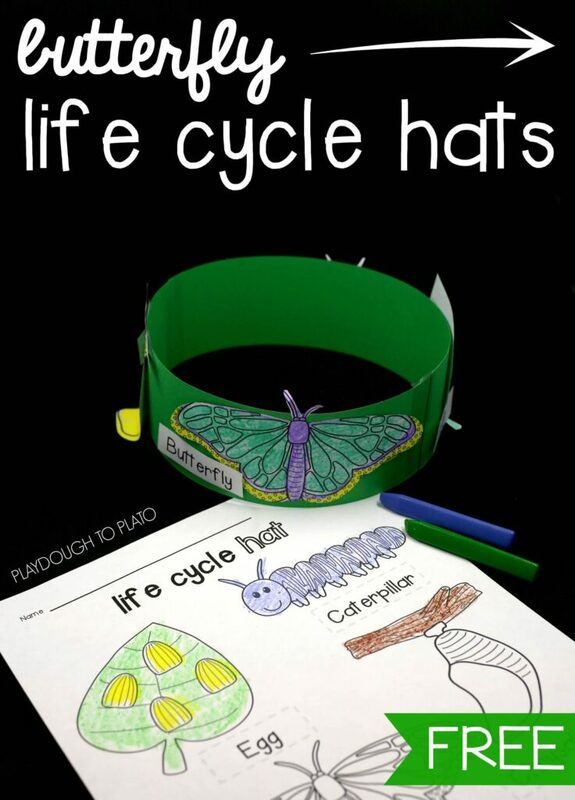 Make a batch of butterfly life cycle hats and grab our bug and butterfly activity pack!